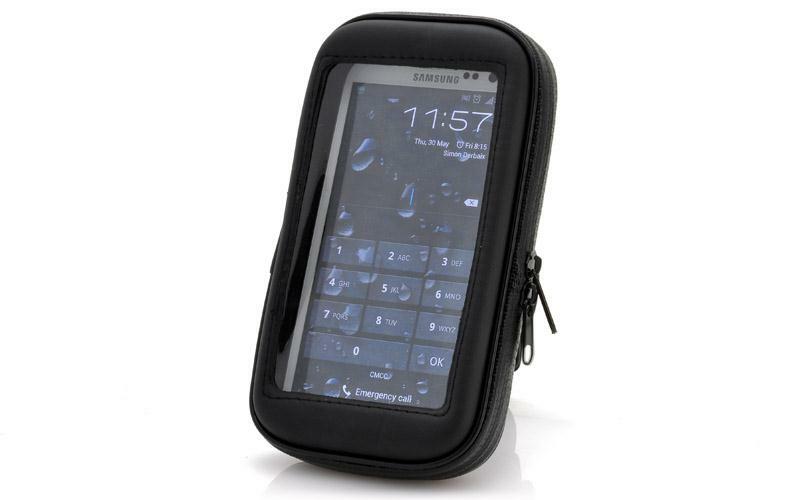 Bicycle Mount for Samsung Galaxy S3, S4, Note3 and other phones. 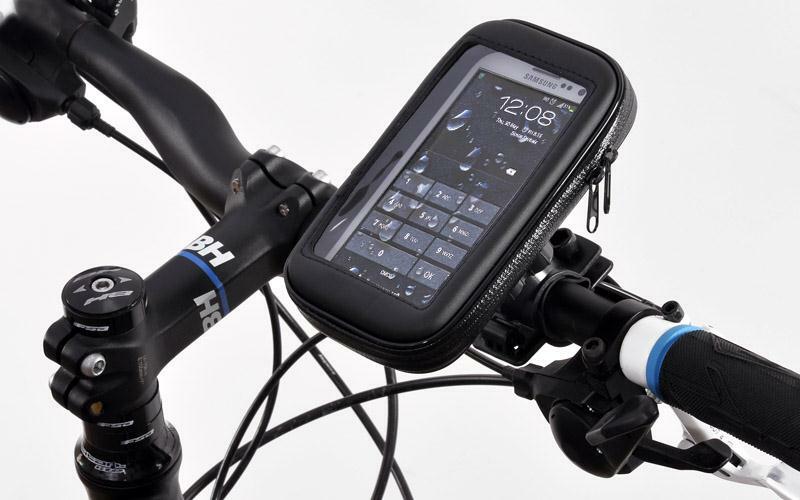 There is nothing better than taking a long afternoon bike ride, but bringing your Smartphone along isn't always easy. 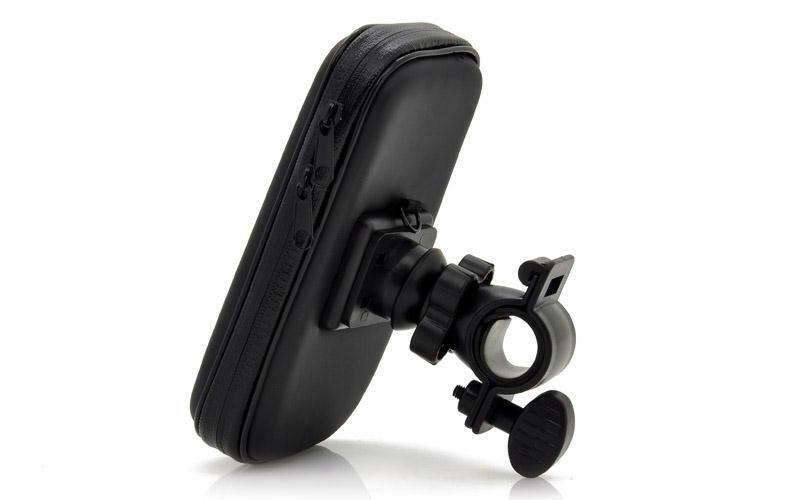 This bicycle mount with protective case will protect your phone against any damage + shocks as well as protecing it against rain while still allowing you to see the screen and operate the phone. 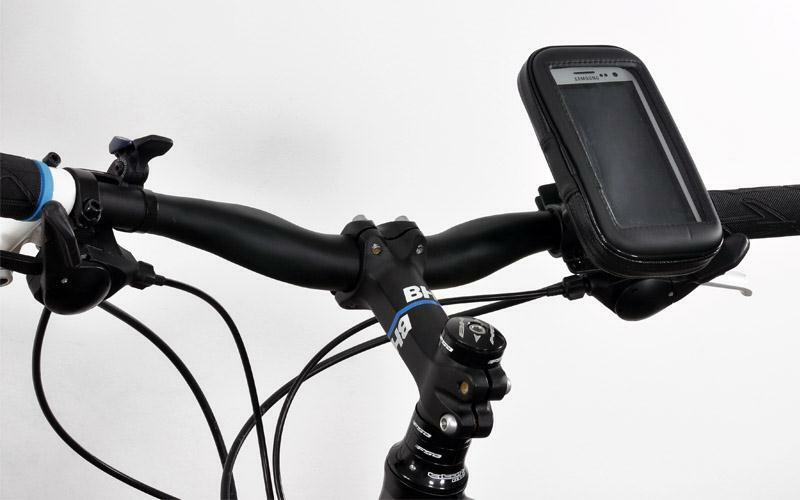 Coming with a 360 degree swiveling handlebar mount, you'll be able to set the phone in both portrait and landscape mode. 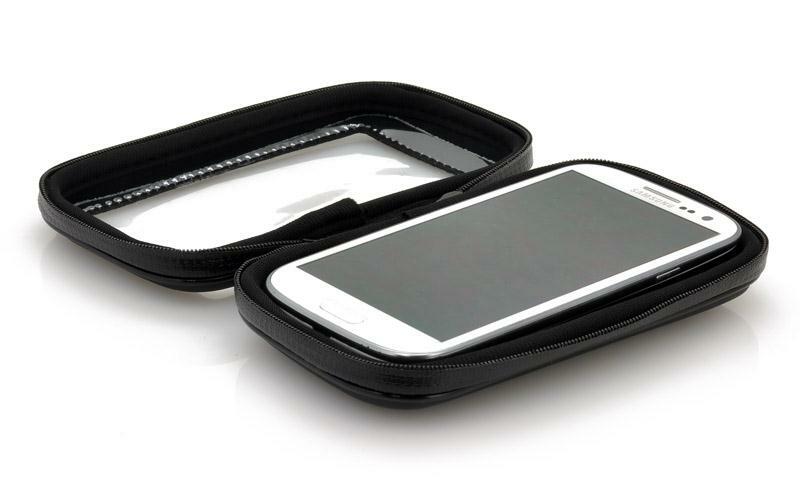 Safely store your phone inside the zipper case which can be detached from the bicycle mount and coming with 2 foam spacers, most phones will fit in this case.